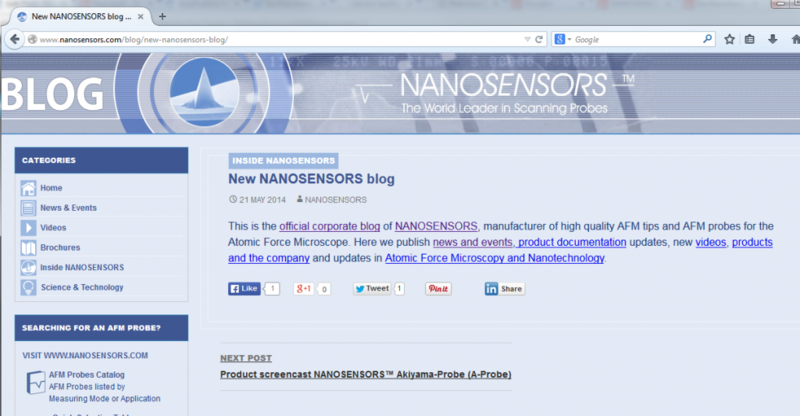 Screenshot from the new official corporate blog from NANOSENSORS with news, videos and product documentation. This is the official corporate blog of NANOSENSORS, manufacturer of high quality AFM tips and AFM probes for the Atomic Force Microscope. Here we publish news and events, product documentation updates, new videos, products and the company and updates in Atomic Force Microscopy and Nanotechnology.